Your contact information directly available in the app. 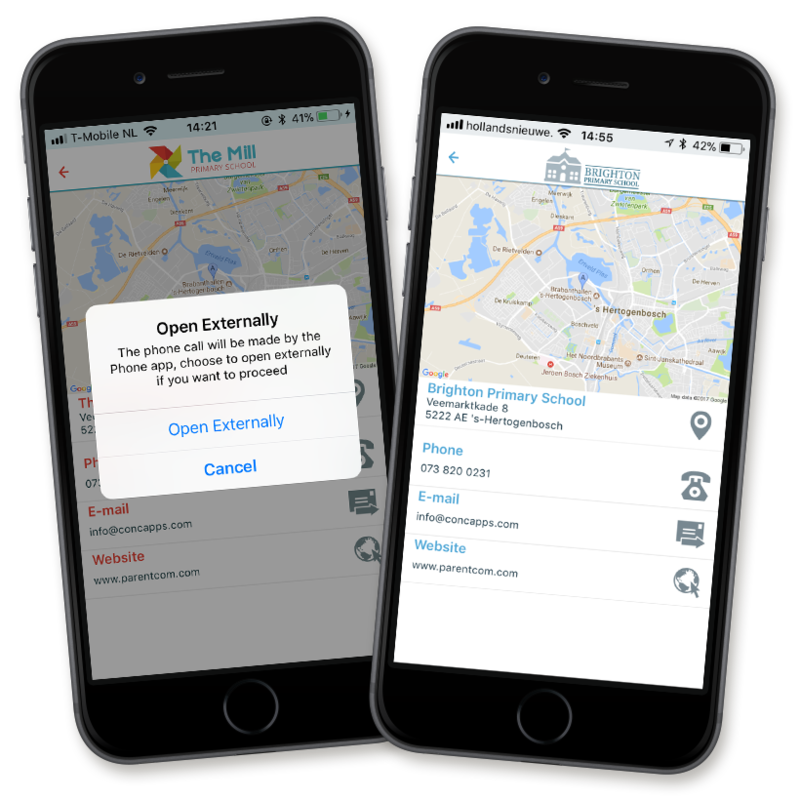 Show your address, telephone and e-mail address and make it possible to contact you directly from the app. A map can be shown from Google Maps and it shows where the school is located.